Hello and welcome to Sunshine Coast Casinos .com.au, this website does not really serve any purpose at the moment except to gain and share information about the future of a casino on the Sunshine Coast. The definition of a casino as in Websters online dictionary is: a building or room used for social amusements; specifically : one used for gambling. 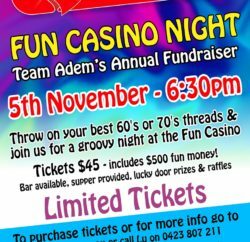 From that I guess we could say we have a few casino’s already here, such as the Caloundra RSL, some of the surf clubs and any other establishment that has poker machines or allows poker games to be played. In this day and age the reality is that a Casino is actually a resort that usually (but not always) has accommodation, attractions, shopping as well as gaming. Most casino resorts take up a huge area and more often than not, require expansion after a short period of trading. Another big question is who would run it. Once again, we have one runner, Clive Palmer, but after turning the Hyatt (now called Palmer Coolum Resort) from 2% vacancy rate to 2% occupancy rate and losing the PGA and sacking most of the staff, we have to ask ourselves, would he be good for the area or is he just in it for himself. Hopefully by the time a casino is approved on the Sunshine Coast, we will have some serious and experienced operators like Echo entertainment or my favorite Crown Resorts. 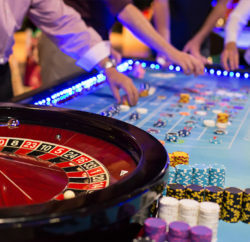 In the meantime, you can have the next best thing by throwing a Fun Casino Party for your next birthday party or corporate event. 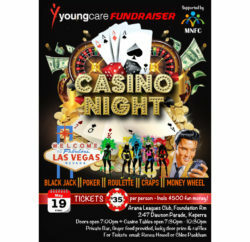 Wild Diamonds Fun Casino is the only local company that provides this service and it is second to none. For a “Diamond Class Event” check out their website at www.wilddiamonds.com.au. Whilst we wait for possibly many years, we have the option to have a little play at home on our computer, mobile phone or tablet. you will be surprised how close it is to the real thing, except for all of the many bonuses. 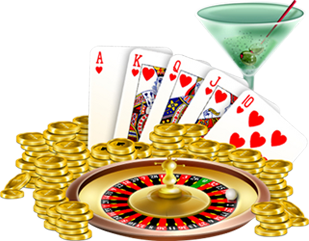 For example some of the online casinos offer match bonuses (read the T & C’s), which means whatever you deposit they will match up to a certain amount which is usually hundreds or thousands. I would like to see any of the local Pokies joints do that. Also one of the Jackpots for the pokies stands at $6.8 Million, yes nearly seven million dollars, you could be Australia’s next millionaire. **Update** The Jackpot went off on the 6th October 2015 standing at 13.6 Million Pounds or around $22 Million AUD. It went off to a UK man. These jackpots are world wide which means they grow fast and get huge. Below is a link to a website that looks after Australian players and is owned by a local Sunshine Coast resident (support local business), but please remember to control your gambling and if you feel you have a problem consult the gambling anonymous authorities for help. 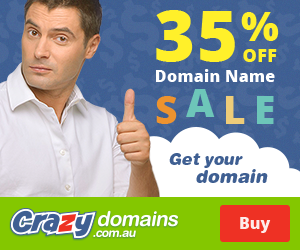 Casino sites List for best Australian online casino games site.